In today’s fast paced world of changing linear TV viewing behaviour, live streaming to social media and changing business models, the ability to deliver live video is more important than ever before. Today’s mobile networks enables broadcasters and security companies to share live video fast, secure and cost-efficient from almost every location in the world. It proves that public Internet is now widely accepted as the channel for cost effective and fast publishing and sharing of content. Mobile Viewpoint offers portable and fixed encoding devices to enable fast and reliable video contribution with just a click of a button. In combination with our LinkMatrix webplatform a video feed is published on Facebook and Youtube at the same time. The LinkMatrix enables the creation of playlist and live switching turning Facebook and Youtube into a full broadcast channel. 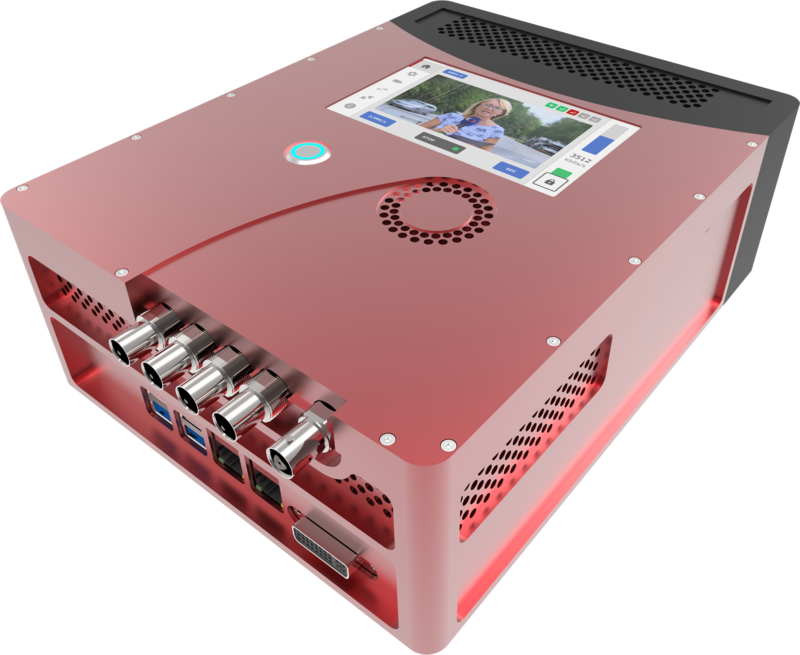 Mobile Viewpoint supports the latest H.265 video encoding technology which enables the highest quality possible quality using the lowest bandwidth and their award-winning bonding technology. Headquartered in Alkmaar, the Netherlands, Mobile Viewpoint works worldwide through international sales offices and distribution networks across more than 100 countries. With its team of Europe’s finest software developers Mobile Viewpoint WMT products offer the best in the market for the video professional of today. Mobile Viewpoint’s goal is to help you to go live, edit, stream and share your high-quality live video anywhere, anytime. Mobile Viewpoint offers easy-to-operate, light weighted devices which meet the requirements of today live video capturing. All of Mobile Viewpoint’s encoders utilizes bonded IP networks, including 3G/4G cellular wireless networks, Wi-Fi, Ethernet, BGAN and satellite. It can be used on backpack solution, in a newsgathering vehicle or from your own smartphone. Mobile Viewpoint’s portfolio includes decoders and a webbased management tool, the Linkmatrix, to get your content on any destination you require, either your broadcast facility, or Social media platform. It can be management and monitored centrally with just a click away. For any further information or an obligation free demo please contact the PAT team today.